Los Guachimontones is one of Mexico’s most important archaeological sites. It includes a series of circular, stepped pyramids, located in the Western Mexican state of Jalisco, near the village of Teuchitlàn. Read the ultimate guide to the incredible Guachimontones complex. Mexico is no stranger to famous archaeological sites: nearly everybody has seen pictures of Chichen Itza, with its Mayan pyramids. 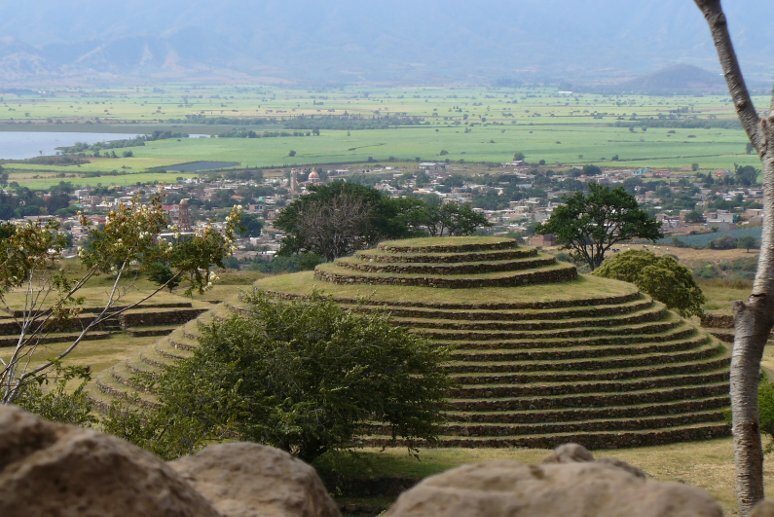 However, most people have never heard of the Guachimontones pyramids, in the state of Jalisco, a true gem of great historical significance, just barely off the beaten track but incredibly rewarding to visit: its handy location makes it a fantastic day trip from Guadalajara, the capital city of Jalisco. 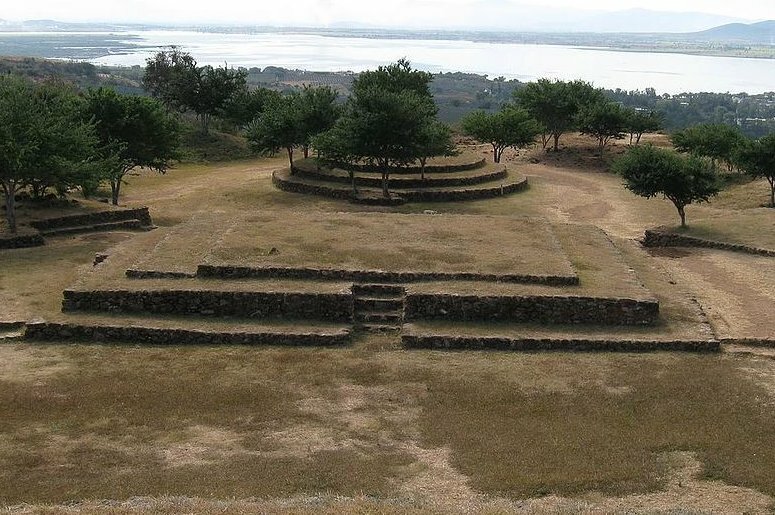 Find out more about the incredible Guachimontones site, and explore with us the hidden remnants of the so-called Teuchitlán tradition, a mysterious civilization that bloomed and flourished in pre-Columbian times, long before any European explorer set foot in the New World. Guachimontones is the major archaeological site of the so-called Teuchitlán tradition, and has been a UNESCO World Heritage Site since 1996. It was discovered in 1969, but funds for its excavation were only found nearly 30 years later, thanks to the relentless work of archaeologist Phil Weigand who confirmed its significance and advocated for its protection by Jalisco state administration. 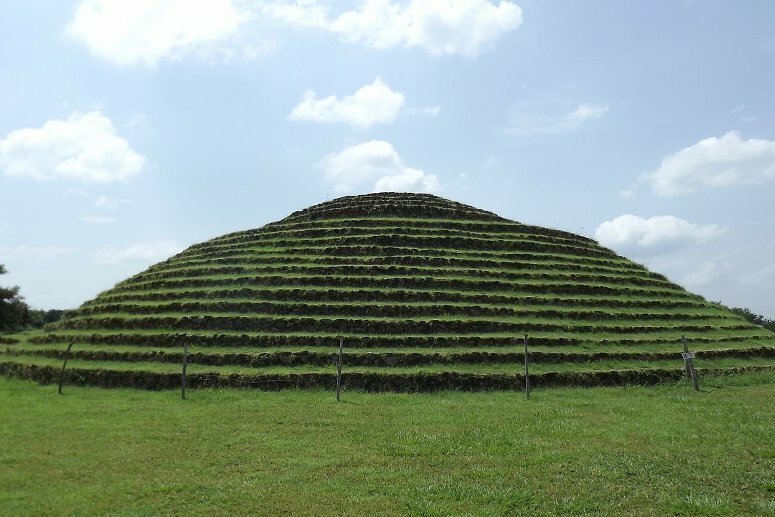 One of the things that makes the stepped pyramids in Guachimontones so breathtakingly unusual is that they are circular. The entire state of Jalisco has about 400 of these round structures, scattered throughout the region and clustered in 15 smaller peripheral ancient towns: they were located through satellite imaging and aerial photography. Los Guachimontones was one of these settlements and presumably supported around 40 000 people belonging to the ancient pre-columbian culture of the Teuchitlàn tradition, who lived in the Tequila Valley region from 300 B.C. to 900 A.D., before the Aztec civilization. The site at Guachimontones is still being excavated: various objects are continuously found, and new foundations emerge as the work continues. The site’s main features are 3 round pyramids, surrounded by circular and rectangular structures: the largest pyramid has an impressive 125 m diameter. Back in 1969, when the site was first discovered, conspiracy theorists actually suggested that the majestic pyramids had been built by the state government to attract tourism to Jalisco; others connected their ancient yet sophisticated architecture to alien presence on earth. Before full excavation efforts began in the 1990s, the site was considered highly endangered due to frequent looting of artifacts and removal of stone blocks for local construction purposes. The pyramids of Guachimontones are located just around one hour’s drive from Guadalajara, the capital of Jalisco, and close to the village of Teuchitlàn. The perfect day trip from Guadalajara, you can easily purchase a small group tour, or even a private one, for a very reasonable price. They often include transportation to and from the capital of Jalisco. 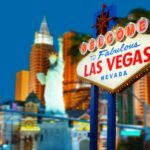 Catching a bus, taxi or Uber on your own are also great options, as well as renting a car, of course. You may even want to include it as a quick stop on a day-long road trip from Guadalajara to Puerto Vallarta, perhaps stopping for a picnic lunch atop one of the hills. 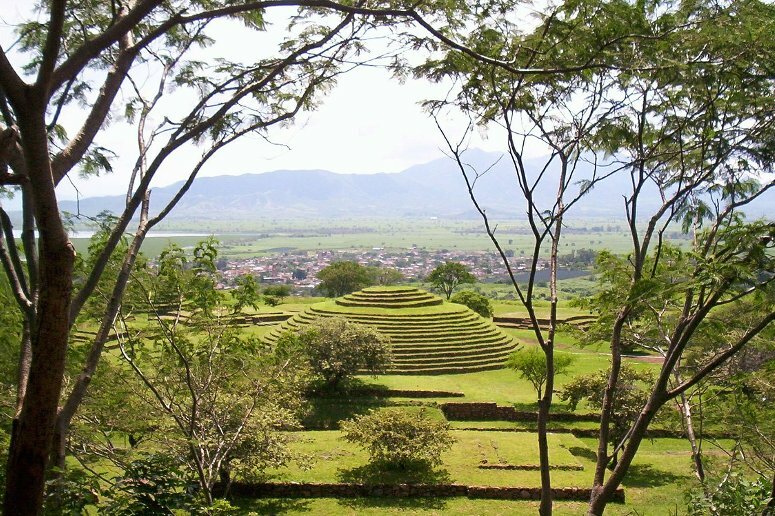 Take a leisurely walk among all the excavations, as well as climb up the biggest pyramid in Guachimontones which is still buried under a dirt hill, covered in trees and bushes. Most of the site is still overgrown with vegetation, so you can immerse yourself in the unique natural landscape of rural Mexico. See the foundations of the houses where the inhabitants would live, as well as 2 pelota courts, anciently used to play the famous but dangerous ball game. This site also features the remains of the only known Mesoamerican amphitheater. At the foot of the hill you can find the new Museo Interpretativo Guachimontones, inaugurated in 2009 and dedicated to Phil Weigand, where hundreds of archaeological finds and artifacts (mostly found in the Teuchitlan people’s multi-layered graves) are on display. The museum has an intro movie about the compound, which is also available with English subtitles. Quick tip: make sure to bring water and sunscreen, as there is very little shade on the hike from Teuchitlan and throughout the site of Guachimontones itself. 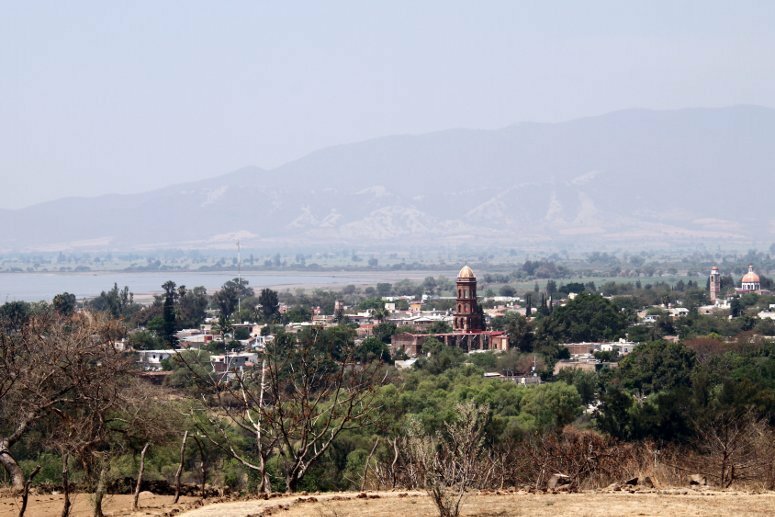 The town of Teuchitlan is very small and quiet, great for enjoying the sleepy, laid-back atmosphere of the Mexican countryside. 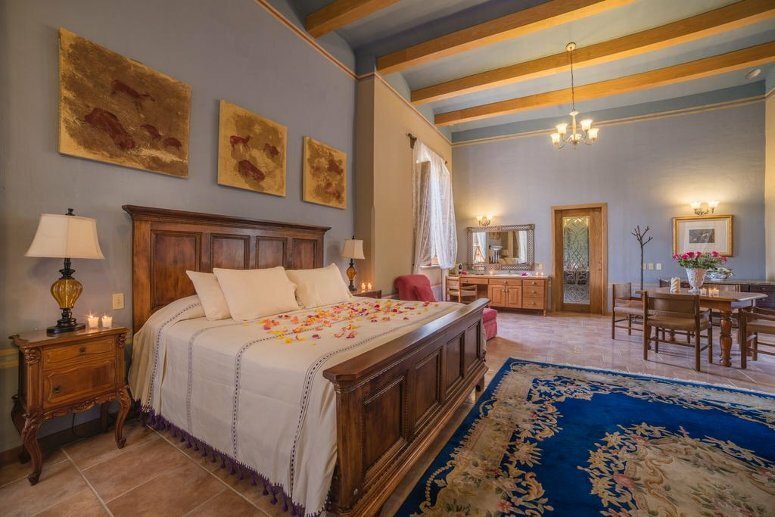 Here, the Hacienda Labor De Rivera is the perfect intimate setting for some good relaxation, warm hospitality and lovely food. Full-service spa, outdoor swimming pool, golf course and 24-hour fitness center make it a great choice for unwinding and pampering yourself, in the tranquil setting of the Jalisco countryside. If you’re going to be visiting the Guachimontones pyramids as a day trip from the capital, there are so many great hotels in Guadalajara for you to choose from. A great choice, highly reviewed for its fantastic service and picturesque setting, is the Morales Historical & Colonial Downtown Core Hotel, right in the heart of Guadalajara. Its smaller size allows its hospitality to shine, and its amenities (including restaurant and bar, swimming pool, and fitness center) are sure to satisfy the most demanding guests. Guachimontones also makes a great side stop on a road trip to Puerto Vallarta, just a few hours away on the shore of the Pacific Ocean. Of course, being a resort town, you can choose from a huge variety of hotels in Puerto Vallarta, with a wide range of services and amenities. A great spot for a relaxing getaway is the Hotel Grand Miramar All Luxury Suites & Residences, an all-inclusive resort that is sure to satisfy! Don’t miss the breathtaking infinity pool overlooking the ocean view, as well as the mouthwatering dishes and cocktails at the in-house restaurant and bar. Visitors and locals alike highly recommend stopping for a delicious meal at the Monte Carlo Seafood & Grill, down in Teuchitlan on the shore of lake La Vega. They specialize in traditional local dishes, tequila-based cocktails, as well as great fish and seafood. 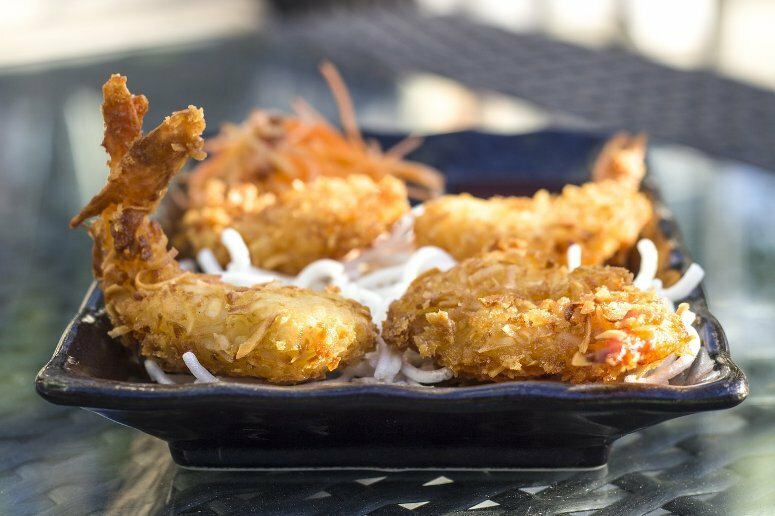 Reviewers often rave about their variety of shrimp-based dishes, and their garlic frog legs are a must-try. As great as the food is, everybody agrees that the Monte Carlo’s strongest selling point is its incredible lake-side location: be sure to pick a table on the patio close to the water, and enjoy the beautiful breeze while listening to mariachi musical entertainment. The view from the biggest buried pyramid is breathtaking, with a panoramic of Guachimontones, the small town of Teuchitlan, as well as lake La Vega, the volcano and mountains beyond. Hire the guard supervising the site for just a few pesos, and you’ll get a personalized guided tour of the site. The history surrounding the 2 ball courts is fascinating, as matches were not just entertainment, but played a central role in this civilization’s ritual life, used to resolve inheritance disputes and as a part of religious ceremonies. Players would crawl “spider-style”, backwards on hands and feet, and had to use their hips to control the heavy ball’s direction, keep it in play, and ultimately score points on either side of the court. Later civilizations would play with a rubber-coated ball weighing around 4 pounds, but the Teuchitlan tradition culture in Guachimontones apparently played with a much heavier stone ball: most players actually ended up fracturing their pelvic bones. While there are several beautiful day trips from Guadalajara you can choose from, the most unforgettable and unique is undoubtedly a visit to the Guachimontones pyramids, near Teuchitlan, Mexico. Don’t miss the opportunity to learn about and explore the wonders of this one-of-a-kind ancient civilization. 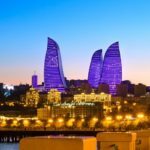 The moment you see the breathtaking pictures of this unique and nearly unknown archaeological site, you will definitely want to come take a look and see the round, stepped pyramids for yourself.